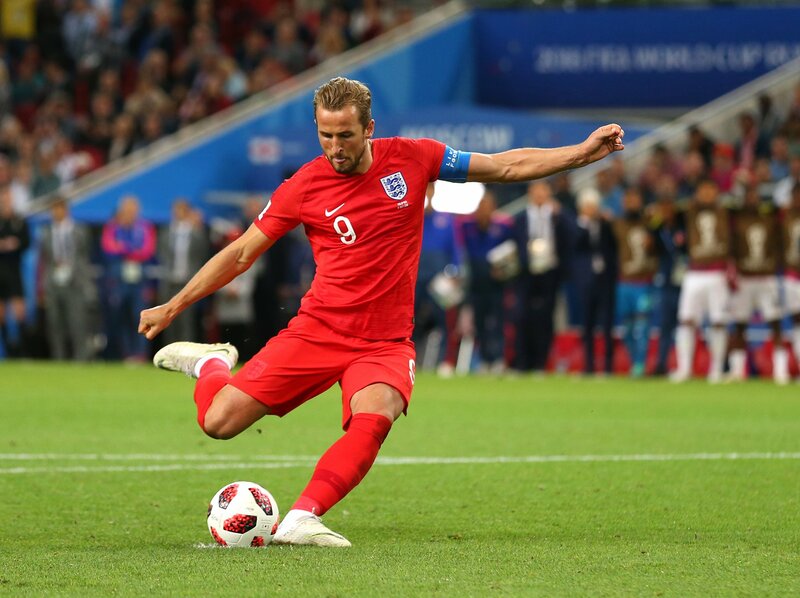 Not sure if you’ve noticed but the England team have only gone and broken the penalty curse and will face Sweden this Saturday. 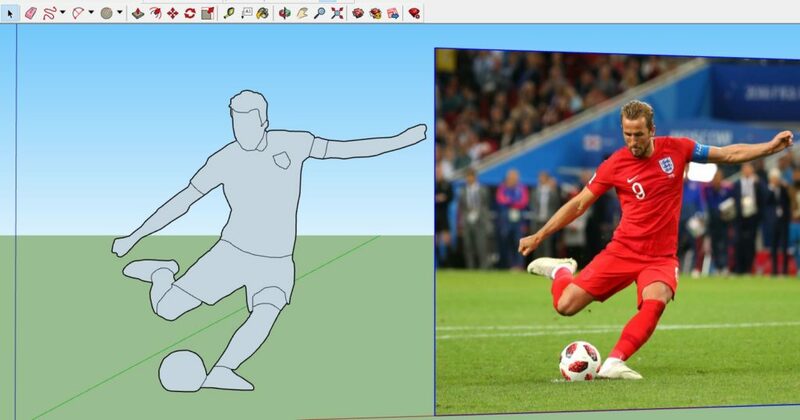 We’re beyond excited at SketchUp UK HQ and in order to make it look as though we’ve been working hard since Wednesday, whilst also feeding our football obsession, we’ve created an England World Cup themed SketchUp tutorial for the ‘Face Me’ scaled component. 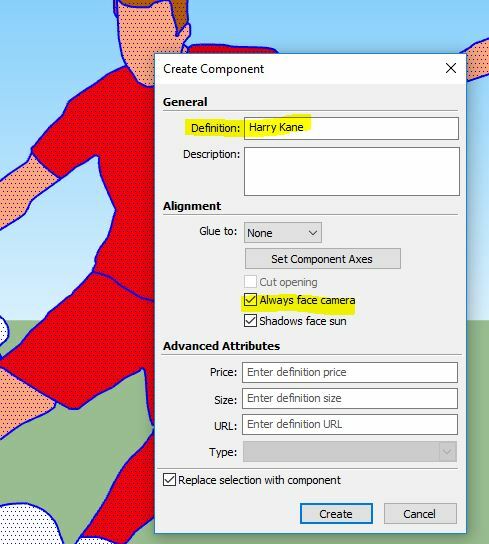 Yes, you too can change your SketchUp figure to Harry Kane, Bobby Moore or, indeed, anyone you like. Here’s our step-by-step instructions. Have fun! 1. Select a photo from the internet. A full length forward facing one works best. Go on, Harry! 2. Delete the existing scale figure on SketchUp. Make way for Harry. Go to File -> Import -> All Image Type Selected. 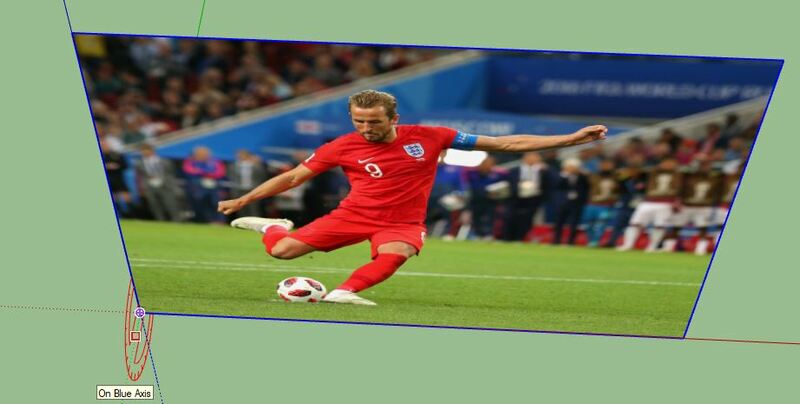 Then ‘Use Image As’ and make sure the ‘Image’ box is selected. 3. 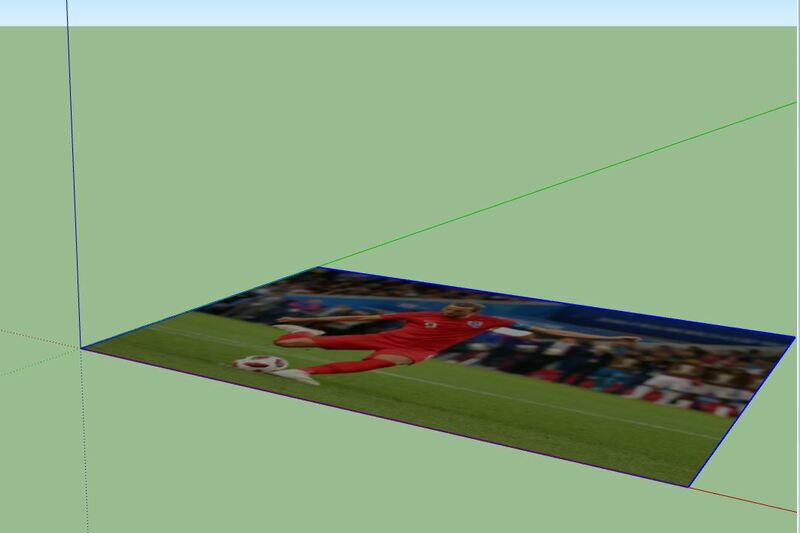 There’s your image of Harry in SketchUp. Place the image on the origin of the left axis then drag the image out and use the Orbit tool to make the image front-facing. 4. Draw a line from the top of the head straight down to the foot. 5. This is when you scale your figure. 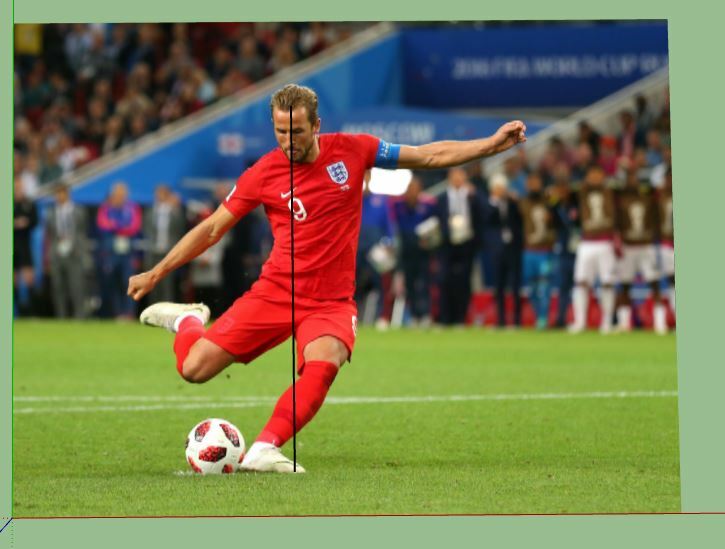 Use the Tape Measure tool to go over the line you just drew from head to foot. Find out the height of your model. Harry is 6ft 2inches so, in the bottom right hand box which says ‘length’, enter that number. Click ‘yes’ to ‘do you want to resize?’ The image is now scaled, you can delete the original line that you drew now. 6. Use the Rotate tool and rotate the image 90 degrees. You need it flat and vertical. Now we’re all set to start drawing the lines for your figure. 7. Either use the free hand pen or line pen and draw your outline. 8. 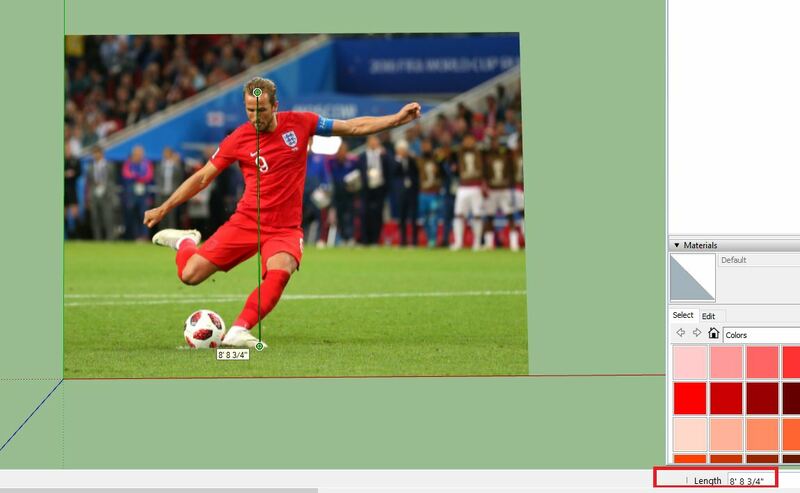 Move the original image out the way and you can colour your figure in. (Tip: You can exact colour match the original image by using the eyedropper tool). 9. 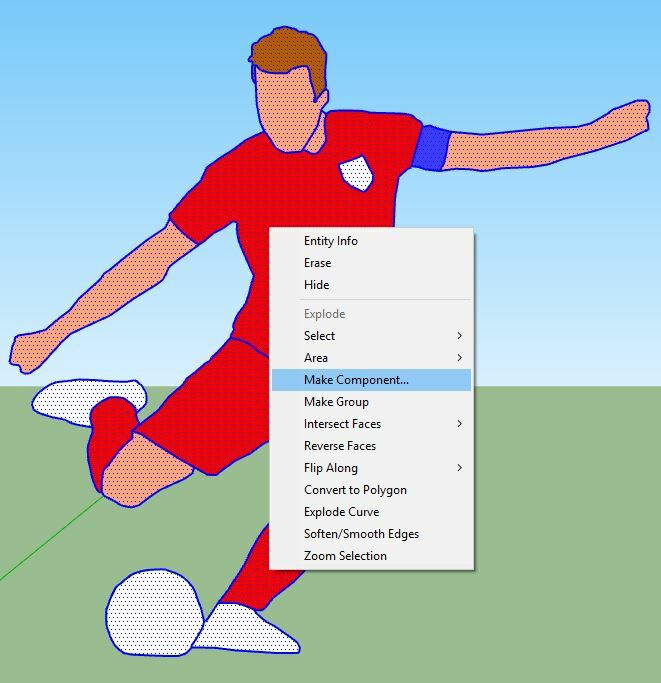 Select your model, right click, then ‘Make Component’. 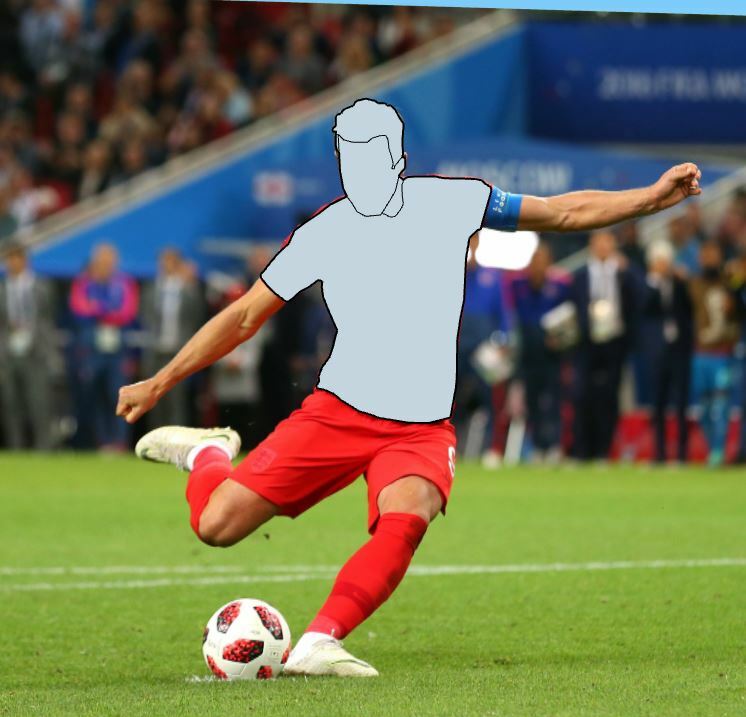 And there’s your final Harry Kane SketchUp Face Me bringing it home. 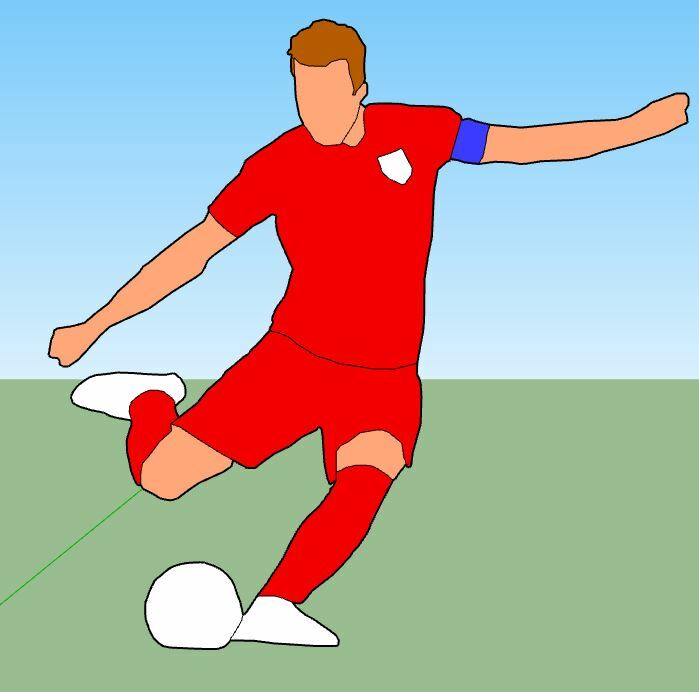 And if you’d like your SketchUp Tutorial in a super speedy video form check out our Bobby Moore one below.